With the Fujinon 12X32 Techno-Stabi IS Binoculars, you'll be able to see a steady, clear view of your subject even at 12-power magnification. The unique image stabilisation technology used in this state-of-the-art design offers 3 degrees of stabilisation in every direction. 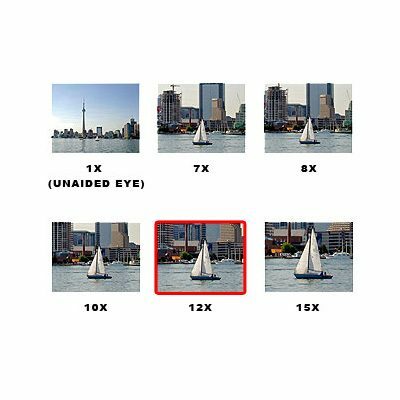 As a result, the imagery will never shake or quiver even if you're on the deck of a boat or inside of a car that is speeding down the highway. 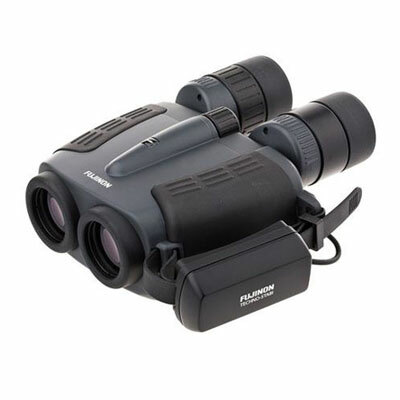 Fully waterproof, the lightweight binoculars can be used in all types of conditions year round. These have slightly better optics and much greater range of stabilisation than the popular canon 12×36 IS binoculars. The Canons are great for handshake but not for when you are moving on a boat or vehicle. If you are seriously moving around though you will need the larger Fujinons with 5 degree stabilisation. Any IS binocular is a huge improvement on standard binoculars: try IS before you buy regular bins! 53.0 – 74.0 mm / 2.1 – 2.9"